There can’t be many bands who make it to their 25th anniversary, but then again Texas are not just any other band. Formed back in the midst of time that are the 1980’s, Texas are touring to celebrate their silver anniversary and on the back of their latest album, Texas 25. 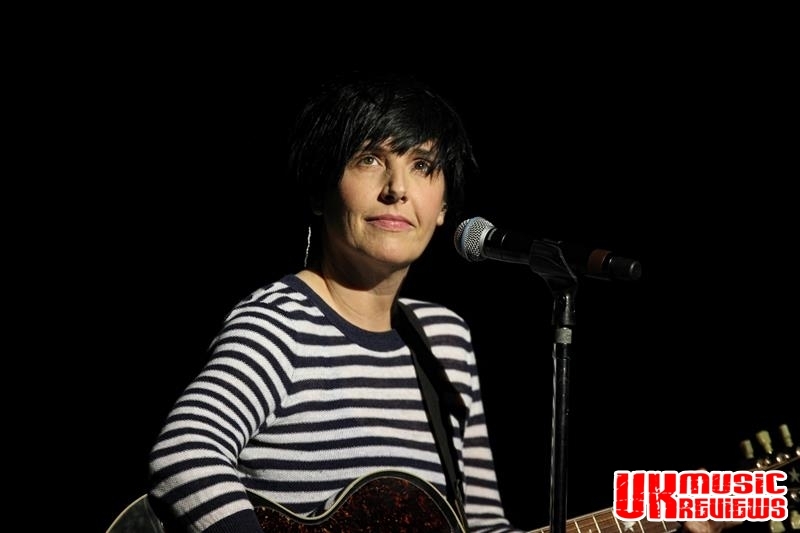 Promising to delight us with stories behind some of their hits, lead singer Sharleen Spiteri, now a 47 year old mum, did not disappoint. 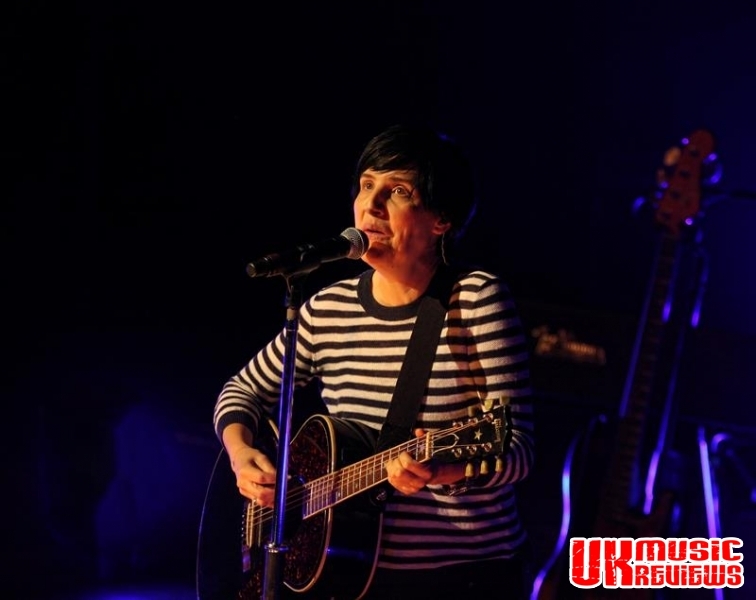 The night started with just her, wearing her trademark hooped Breton top, a spotlight and her guitar, she gently opened with their recent single, Start A Family. 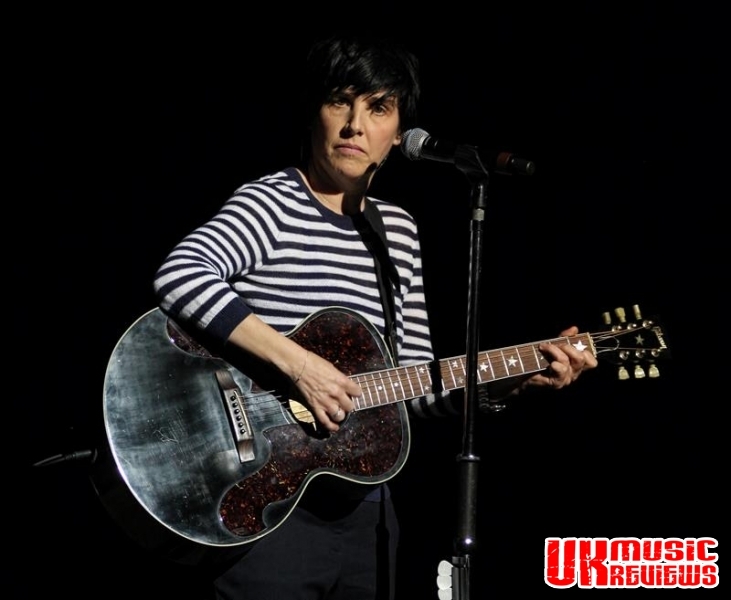 Gradually the rest of the band joined her on stage to perform Tired Of Being Alone, Guitar Song and a great version of their debut single, I Don’t Want A Lover. Working through an impressive back catalogue, the band revisited Superfly Boy and Once In A Lifetime before Spiteri announced that it showed that the audience needed a toilet break and then admitted that it was the band who were in dire need. In the second half Texas moved up a gear with a brass section boosting the sound as they brought out the big hitters. When We Are Together, Black Eyed Boy, Inner Smile, Halo, Summer Son absolutely delighted this near packed Royal Concert Hall, as did a couple of tracks from Spiteri’s Motown-esque solo album. Thanking the crowd for their support over the past 25 years, they finished with Say What You Want. A second encore produced a rousing cover of Elvis Presley’s Suspicious Minds and too soon this near three hour show was over. Texas have without doubt grown up with their fans, they’ve had children, got a little greyer, but on tonight’s showing, have lost none of their passion and love for their craft. Spiteri’s voice is outstanding, and she sings their greatest hits for all she’s worth. 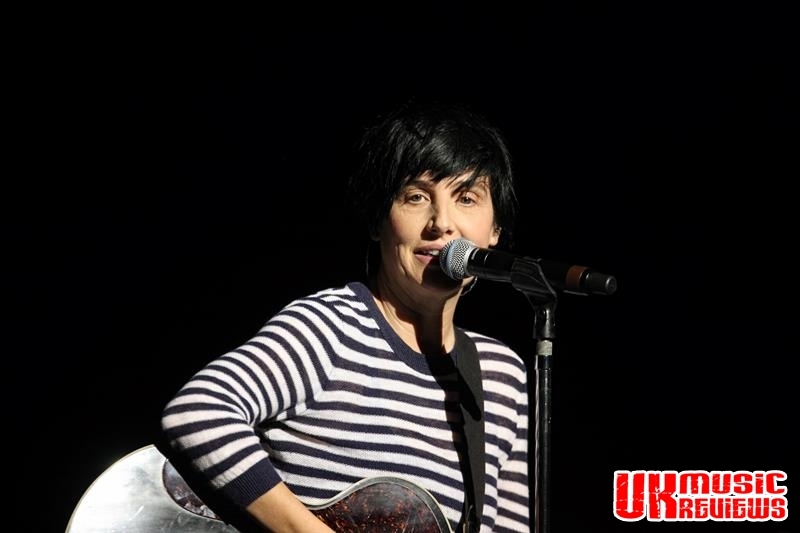 Spiteri is Texas; she is part tomboy, part rock chick, and when she opens her mouth, a complete Glasgow girl. 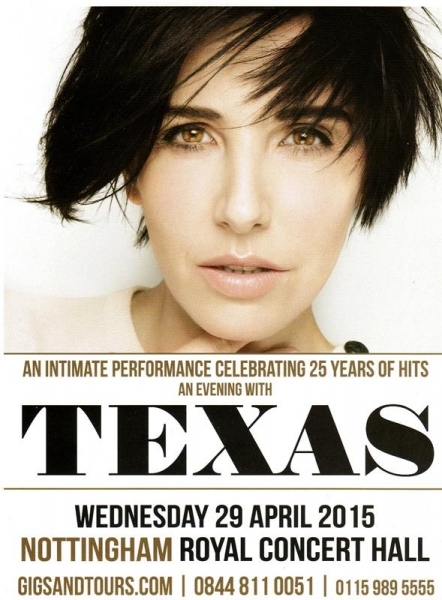 On tonight’s showing Sharleen Spiteri and Texas are back, but I don’t think that they have ever been away.